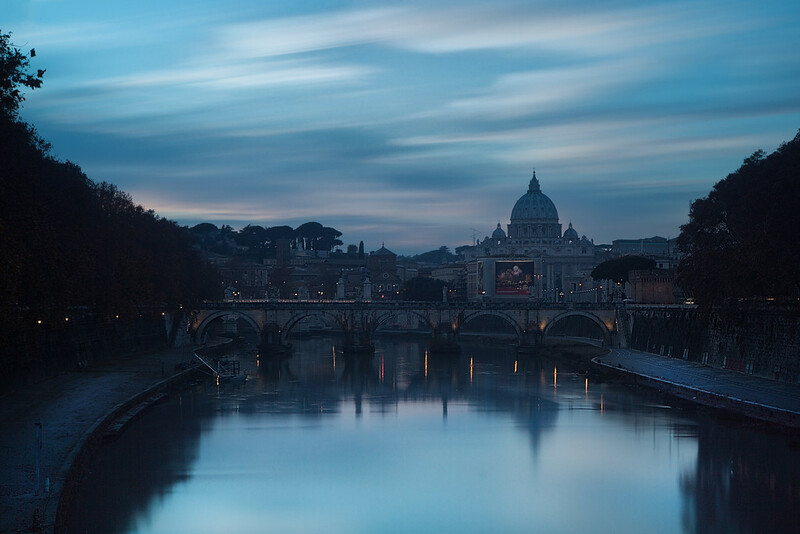 This seems to be quite a classic view of Rome…and though it didn’t feel like I had seen this view many times before my trip there, I have certainly seen it crop up a lot in the past month. I guess it’s always been popular, just not that recognisable to me before now. Either way, St Peter’s Basilica is certainly a wonderful building and, like St Paul’s when in London, was something I found myself drawn to whenever I was out taking photos…attempting to get a glimpse of it or a nice composite with the dome in view.